The famed Hong Sisters are back with this body-swapping comedy that was inspired by Tom Hanks' film 'Big'. 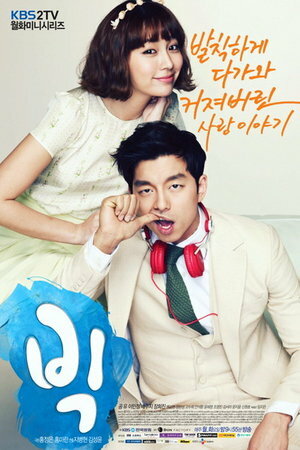 Gil Da Ran (Lee Min Jung) is a struggling substitute teacher trying to get her certificate, and engaged to the most handsome doctor in the world, Seo Yoon Jae (Gong Yoo). It's a fairy tale dream come true until one month before the wedding, Yoon Jae becomes more distant. At the same time, Da Ran meets a young transfer student from the States, Kang Gyung Joon (Shin Won Ho), who's got an attitude towards everyone except Da Ran. But then Gyung Joon gets into a car accident with Yoon Jae, and the two of them drive over the guard rail and into the deep waters. Yoon Jae tries to save Gyung Joon, but in the process, Yoon Jae dies and Gyung Joon ends up in a coma. Gyung Joon soon wakes up... but finds himself in Yoon Jae's body!